At FACE Toronto, we never create an over-corrected or overfilled lip. Our approach is subtle, utilizing the natural shape of your mouth to enhance your lips in a way that is tasteful and natural. Dr. Asaria’s fluent knowledge of available fillers ensures that his patients are able to get the results they want. If you are looking to achieve beautiful, fuller lips, its best to go to board-certified facial plastic surgeon that specializes in procedures done on the face for optimal results. Dr. Asaria's unique artistic approach is his claim to fame as one of the best plastic surgeons Toronto has to offer. The lips are a central feature of the face. Natural and attractive-looking lips have much to do with the contour, volume and relative difference between the upper and lower lips. A key characteristic of beautiful lips is that they have a harmonious appearance and blend well with the rest of your face. For this reason is it sometimes recommended that one combines lip augmentation with other treatments, such as cosmetic fillers or more permanent procedures to eliminate wrinkles around the mouth and jaw areas. Peels and lasers work well to smooth the fine wrinkles that develop around the lips, leading to a rejuvenated and fresh appearance. 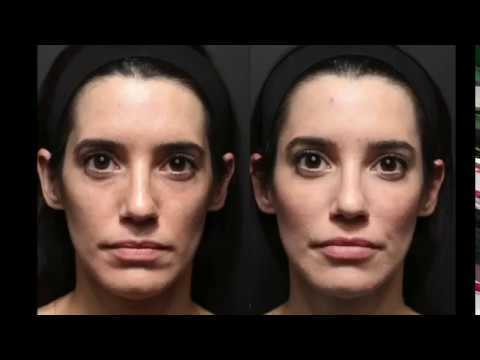 At times, deeper wrinkles around the lips leading to the cheeks and chin are most readily improved with a facelift. Your lips are important in both form and function, and we would like to help you improve them in any way we can. At FACE Toronto, Dr. Asaria knows that an overfilled, overcorrected lip never looks good. His goal in lip augmentation is to give subtle, enhanced body to your lips, adding to the natural shape and size of your face. The characteristic and shape of the lips can be augmented using fillers and implant techniques. Our preference is to use fillers such as Restylane or Juvederm to create genuine-looking lips that maintain their natural feel. Whatever your situation, Dr. Asaria will work with you to determine the most beneficial treatment available. Dr. Asaria’s expertise in lip augmentation makes him among the top lip injection experts in Toronto. He will work with you to establish a plan, ensuring that each step taken has an exact purpose to enhance the natural beauty in your face. In the world of lip augmentation, Dr. Asaria sets the standard. When using hyaluronic injectables such as Restylane or Juvederm, treatment generally lasts four to six months. This is because the lips move more than any other facial component, and this causes the body to break down the filler more rapidly. Your lips will not look strange or deflated during this process. They will simply resume their previous shape and size. Another form of lip augmentation is a fat transplant. In this procedure, fat is harvested from another part of your body where it is not needed, and is purified and refined. It is then carefully re-injected into your lips using a specifically-designed needle. This procedure, also known as fat grafting, can produce permanent results for many patients.